I don’t know of any rules of thumb that can tell you whether it’s a good idea to devote some of your retirement savings to an annuity. That’s probably because it’s not just a financial decision. There’s a certain amount of subjectivity involved that mainly centers around whether additional guaranteed lifetime income might make you feel more secure about retirement and better able to enjoy your post-career life. So two people with similar finances might feel very differently about whether they ought to buy an annuity. 1. Do you need more guaranteed lifetime income than Social Security (and pensions, if any) will provide? Some people forget that they’ll already have an income annuity once they retire, not to mention one with payments that rise with inflation—namely, Social Security. And if you qualify for a pension from an employer that you plan to take as a traditional check-a-month pension as opposed to a lump sum, you’ll also have a second annuity. To avoid that possibility, start by getting a handle on the retirement expenses you’ll face. You can do that by going to an online tool like BlackRock’s Retirement Expense Worksheet, which allows you to break down your expected retirement expenditures into upwards of 50 different items, ranging from essential expenses like food, clothing, housing and health insurance to discretionary ones such as travel, entertainment and charitable donations. Today, for example, a 65-year-old man who invests $100,000 in an immediate annuity would receive about $545 a month for life, while a 65-year-old woman collect about $525 a month. A 65-year-0ld couple (man and woman) who invests $100,000 in an immediate annuity and takes the “joint life” option (or “joint and survivor” as it’s also known) would qualify for a payment of about $470 as long as either one is alive. To see what size payment you might receive based on different ages and amounts invested, you can check out this annuity payment calculator. 2. Is your nest egg big enough that there’s little chance you’ll deplete it prematurely? When you buy an annuity, you’re essentially buying insurance to protect against the risk of outliving your savings. But if your nest egg is very large relative to the expenses you’ll be depending on it to pay, then you may not need this insurance. I’m sure that Mark Zuckerberg will have more than enough money to cover his retirement expenses, Social Security or no. He’ll manage quite well without an annuity. But even if your net worth isn’t anywhere close to that of Mr. Z—which is true for nearly all of us—you may still have enough in savings that your chances of running through your nest egg in your lifetime are low enough that you may decide to forego an annuity. Let’s say, for example, that after Social Security and any pension payments, you still need another $1,000 a month, or $12,000 a year, to cover your essential expenses. And let’s further assume that you’ve been a diligent saver throughout your career and have a nest egg of some $600,000 invested in a 50-50 mix of stock and bond funds. There are no guarantees. But if you start with an initial withdrawal of $12,000, or 2% of your $600,000 nest egg, and increase that amount for inflation each year to maintain purchasing power, the chances are very high that your savings would be able to support that level of withdrawals for at least 30 years. A 2% inflation-adjusted withdrawal rate fits well within the range of sustainable withdrawal rates outlined in American College professor Wade Pfau’s Retirement Researcher Dashboard. 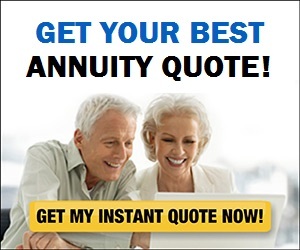 So in such a scenario, you might reasonably conclude an annuity isn’t necessary. To gauge how likely it is that your nest egg will be able to support you throughout a long retirement based on the amount you intend to withdraw and how your money is invested, you can go to a tool like this retirement income calculator. Indeed, you may want to run a few different scenarios with different both higher and lower withdrawal amounts just to see how much wiggle room you have. 3. 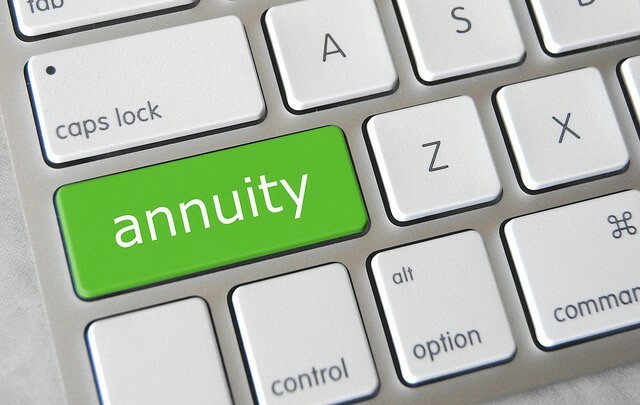 Would buying an annuity help you enjoy retirement more? Even if the financial case for owning an annuity isn’t particularly compelling, there may be another reason for devoting a bit of your savings to one: the guaranteed income an annuity generates may make for a more enjoyable and rewarding retirement. And in fact, there’s a considerable amount of research that suggests that’s the case. Even if you decide after answering these three questions that you are a candidate for an annuity, you’ll want to take some time to learn more about how annuities work before committing to one. You’ll also want to get quotes from several insurers; diversify by spreading your money among annuities of two or more insurers; and, to avoid investing all your money when rates are at a low, buy in phases rather than all at once. For more on these suggestions as well as other advice for buying an annuity, check out this column titled 5 Tips For Finding The Best Annuity For Lifetime Income.